It all comes down to this: The New England Patriots versus the LA Rams in the biggest sporting event on the planet. Palmerbet Sports Team has Super Bowl tips for the big one! Final Thoughts: After an extraordinary Conference Championships weekend, we’re left with two teams: perennial Super Bowl qualifiers the New England Patriots, and a Los Angeles Rams at the big dance for the first time in 17 years. The Rams edged the title favourite Saints 26-23 with an overtime field goal. Tom Brady led the Patriots to a 37-31 win over the Chiefs with 346 yards and a touchdown, including orchestrating the game-winning drive in another overtime classic. 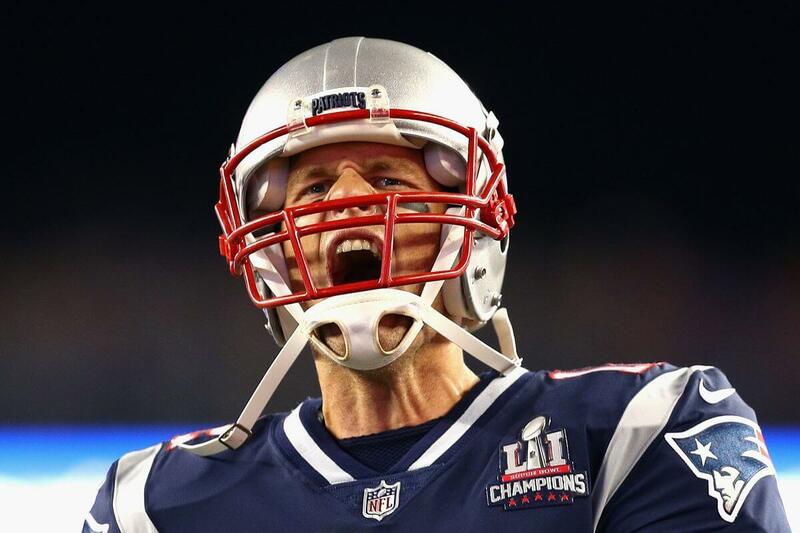 The Patriots are $1.74 favourites to salute in the Super Bowl for the third time in five years. The Rams head in as enticing $2.12 underdogs. The obvious key to a New England victory is Brady’s mastery in the pocket. His big-match experience and peerless ability in the clutch are huge trump cards. Sony Michel, Julian Edelman and Rob Gronkowski also came up big against the Chiefs. But Brady and his offensive contingent will come up against a far more formidable defence in the form of the Rams’ secondary. The Rams ranked third in the NFL for forcing turnovers and that has to be the defence’s main focus in Atlanta. You can’t beat the Pats without scoring points, though, and the pressure is on QB Todd Gurley in the biggest match of his career. His form in the playoffs has been well down on a strong regular season – and he needs the game of his life. Running backs C.J. Anderson and Todd Gurley have a huge role to play. Brandin Cooks had over 100 receiving yards and will no doubt be Goff’s main target again. Meanwhile, can the Rams’ 33-year-old Sean McVay outcoach five-time Super Bowl winner Bill Belichick? Brady ($2.00) and Goff ($2.75) are the overwhelming MVP favourites. That’s no surprise – nine of the last 12 Super Bowl MVPs were quarterbacks. Brady has won a record four, including two in the last four years. A running back hasn’t won the award in 20 years but the Rams’ Todd Gurley ($21) is a top-value option on the third line of betting. Fellow RBs C.J. Anderson (Rams) and James White (Patriots) are also at $21. If the Rams’ defence wins the day, Aaron Donald ($23) will surely come into the MVP conversation. The Patriots are on a five-match winning streak against the Rams. Three of the last four were decided by 16-plus margins, though the teams haven’t met since the 2016 season. New England have been to 10 Super Bowls for five wins. They have qualified an incredible eight times since 2001 – aka the Brady era – and won five. Last year the Pats were stunned 41-33 by the Eagles in one of the all-time great Super Bowl upsets. Twelve months earlier they pulled off the greatest Super Bowl comeback ever to break the Falcons’ heart in OT. The Rams line up for their fourth Super Bowl. It’s their first since the 2001 season, when they were based in St Louis and lost to the Brady-inspired Patriots. The franchises sole Super Bowl win came two years earlier. Five of the last six Super Bowls (including the three involving the Pats) produced 51-plus points. With the over-under line set at 56 points – and the Patriots being involved in two 62-plus Super Bowls in the past two years – the over is appealing. Twelve of the last 15 Super Bowls were decided by 12 points or less and a blowout seems unlikely. But we’re tipping the vast experience advantage that Brady, Belichick and Patriots possess to overwhelm the Rams.